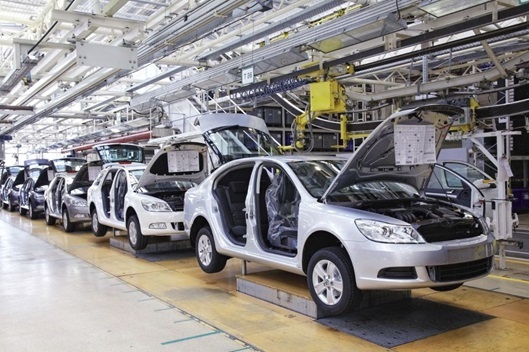 The automotive manufacturing industry is a major player in the Australian economy. Here, we discuss public and government perceptions, and the value of the industry for all Australians. Our automotive manufacturing industry is comprised of 3 manufacturers (who you’ve probably heard of) – they are: Ford, Holden and Toyota. Aside from the 3 big guys, there are about 160 component, tooling, design and engineering firms who play an equally important role. The sector generates jobs, fosters creativity and innovation, and fuels research that links to other sectors like engineering, marine and aerospace. And locally produced vehicles still accounted for 4 out of the 10 top selling vehicles in Australia, in 2011. So we want to keep our automotive manufacturing industry alive – but it’s up to the Australian public, and the government. Nine out of 10 Australians believe that manufacturing is an important part of the local economy, according to research by Wallis Consultancy Group. On the other hand, only 37% believe that the manufacturing industry can compete on a global scale. “We have always worked closely with the car industry and will continue to do so. We have consistently argued that funding to the car industry must be more accountable and sustainable – and better targeted,” it read. As part of this plan the coalition will reduce the Automotive Transformation scheme by $500m. However, $1billion will remain in the scheme for until 2015. Research and development in the Australian automotive manufacturing industry is invaluable. It’s more than just in-vehicle entertainment systems and improved air conditioning – safety comes into it too, and energy efficiency. The latest efforts in Australian automotive research have included developing a methodology for minimizing emissions associated with cold start fuel consumption, and emissions analysis between conventional, hybrid and electric vehicles under Australian conditions. You can read more here. And as an added bonus – automotive research findings are transferable to other notable sectors too, like heavy engineering, marine and aerospace. To learn more about Australia’s Automotive Manufacturing Industry, check out the latest statistics here. Do you think the government should continue support for the automotive manufacturing sector?